Appointing an Architect can be a little confusing and even a daunting task at times. Over the last few years we have developed an introductory service “The Workshop“. The Workshop is a small and relatively quick exercise that we regularly undertake with new clients. We use it as an opportunity to listen to your requirements, test your ideas and show you some of ours. 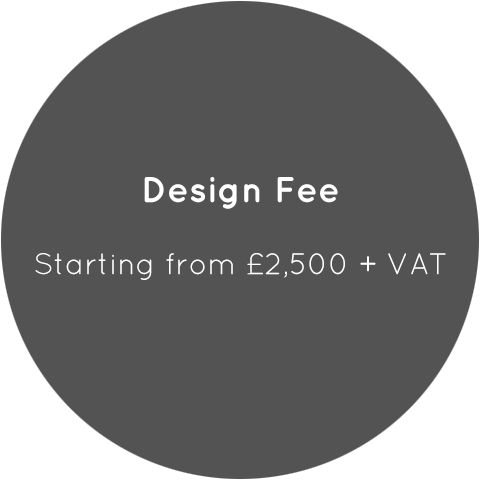 It comes with a fixed cost and allows you to get to know us and see what we can offer to you as creative designers. After The Workshop, if you enjoy working with us, and decide that you want to continue with the Project we offer Full Services. Full Services are divided into three sections that relate to stages in the construction project. Allowing you to have control of the process and a complete understanding of our fee from start to finish. Visit the property and carry out an initial appraisal. Assist the Client in preparing the Client’s requirements. Discuss alternative solutions for the project. Advise on the need for services by consultants or specialists. Arrange: Dimensional survey of buildings. Prepare a preliminary design and discuss with the Client. Submit the final design proposals. Make an application for detailed planning permission. Advise on an appropriate form of building contract, its conditions and the responsibilities of the Client, the consultants and the builder. Advise on potential builders to be invited to tender for the work. Invite, appraise and report on tenders. Advise on the appointment of a builder. Prepare the building contract and arrange for it to be signed. Provide the builder with information required for construction. Visit the site to see that the work is proceeding generally in accordance with contract. Certify payments for work carried out or completed. Advise on final cost. Provide or obtain record drawings showing the building and its services. Give general advice on maintenance. Make final inspections and advise on resolution of any defects. Agree final account and issue a final certificate. *Not applicable for projects with construction values less than £100,000. For such projects the fee will be reviewed individualy. 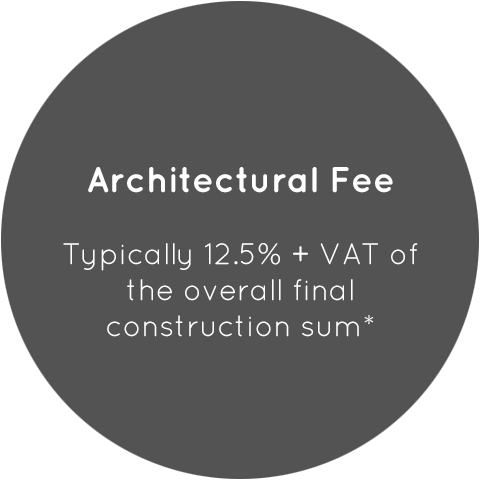 *Design fee not included in the full architectural fee.